This quilt top is made with only three fabrics. 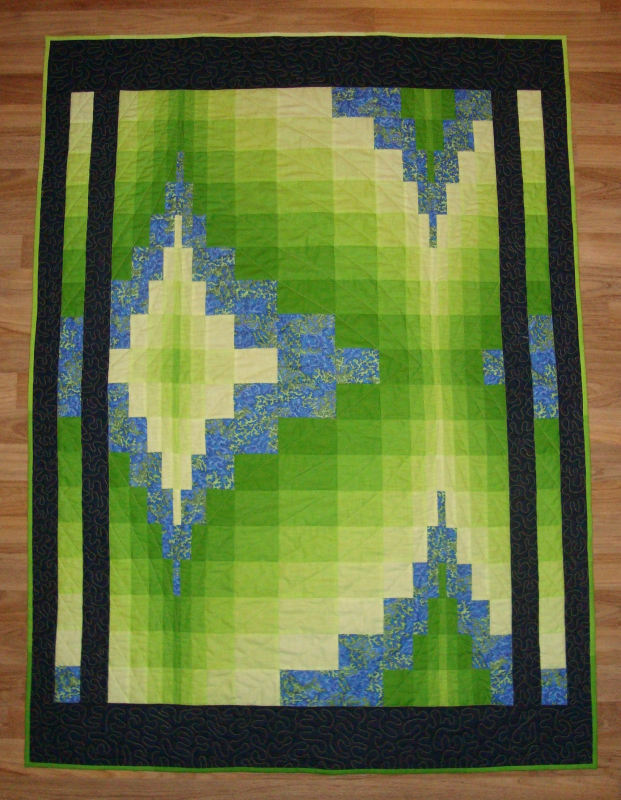 The shades of green are from one graduated fabric. 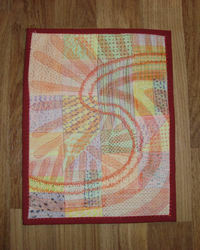 I was watching the Olympics while working on this Bargello quilt. 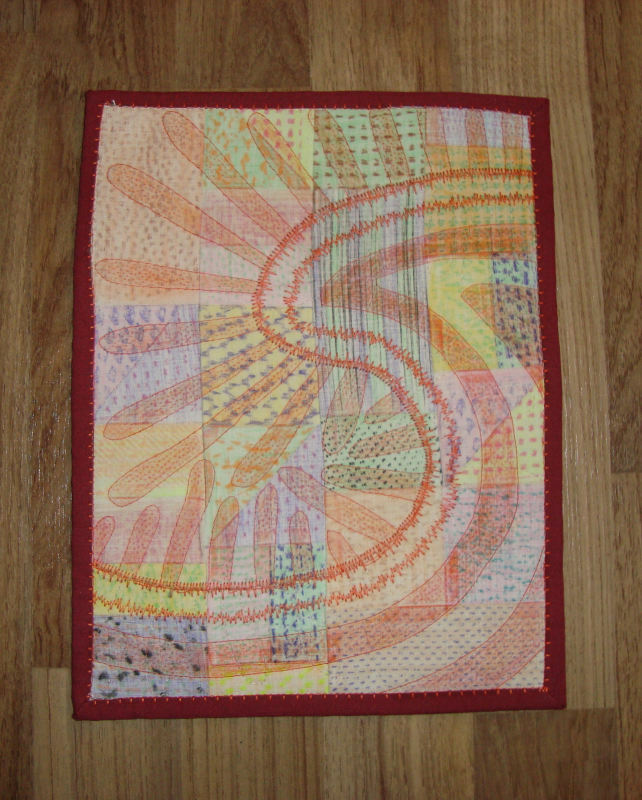 I had it laid out on the floor in front of the TV and noticed that the colours I’d chosen were the same colours as the Vancouver 2010 Olympic colours. 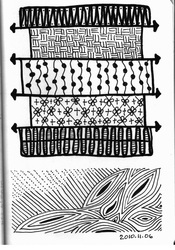 It measures 38" x 50"
These are some texture challenges. 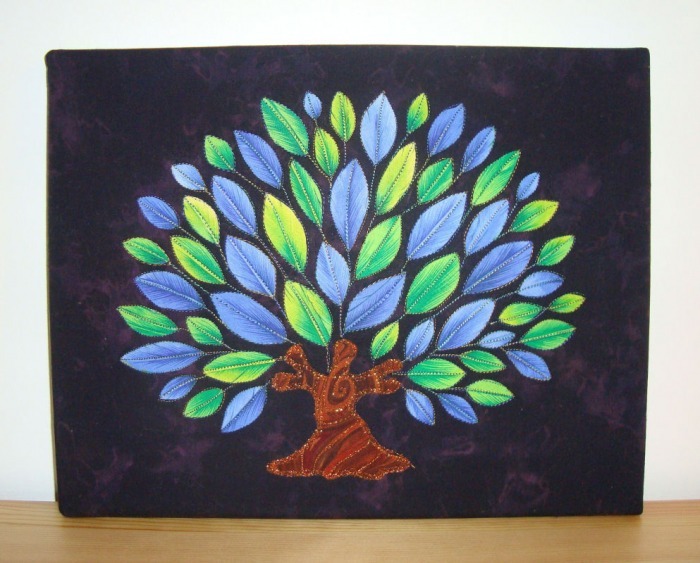 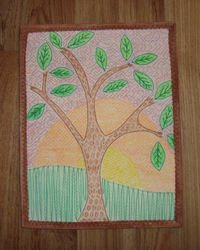 The two end ones are made using plain white fabric, colouring it with wax crayons, ironing it to set in the colour and then stitching to add detail. 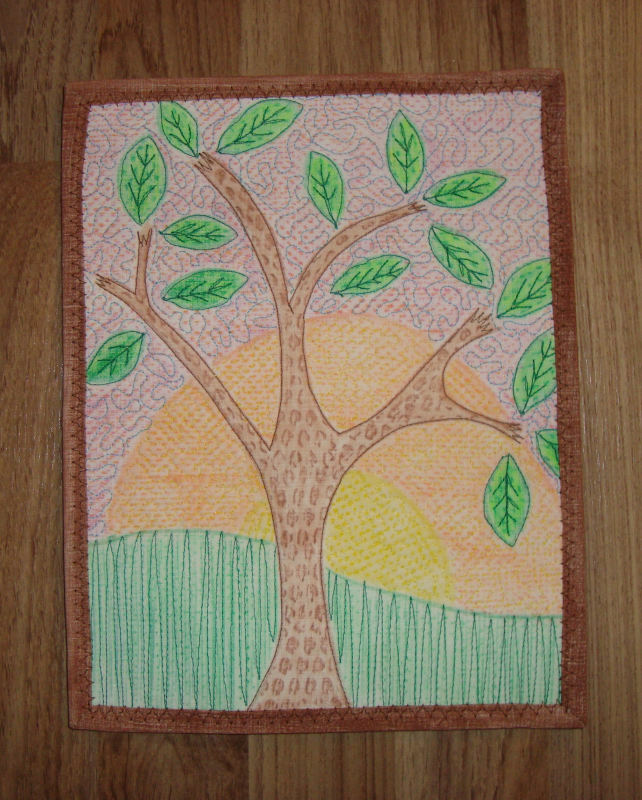 The first one is also done on plain white fabric but the texture is created by using only thread and then the prominent lines are done by couching down yarn. 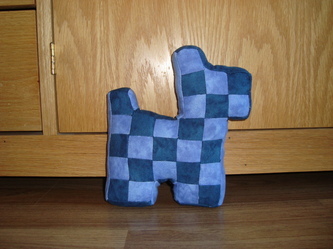 A quick project to pass the time and use up some fabric. Made with fabrics from Africa and donated to an organization helping grandmother's in Africa who are raising their grandchildren because the parents have died of AIDS. 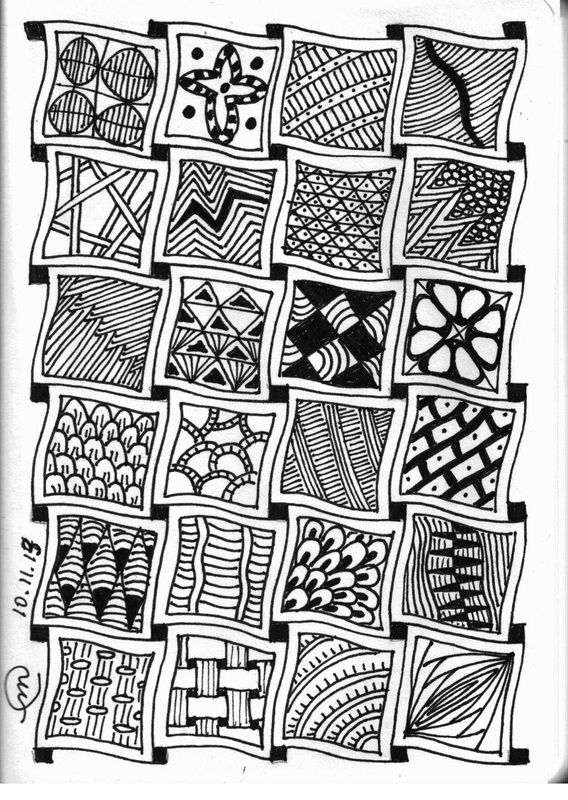 I'm going to Chicago for the International Quilt Show and I wanted a new purse with all the right features. 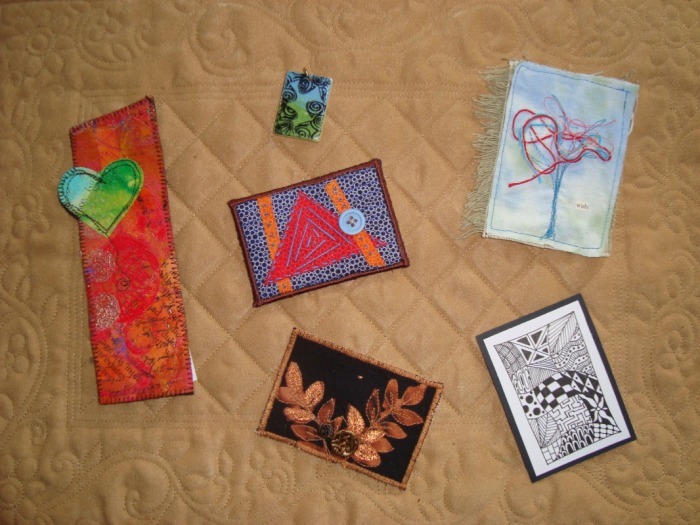 (1) a large open pocket on the front for any papers that I may pick up from the booths and for my schedule and information. 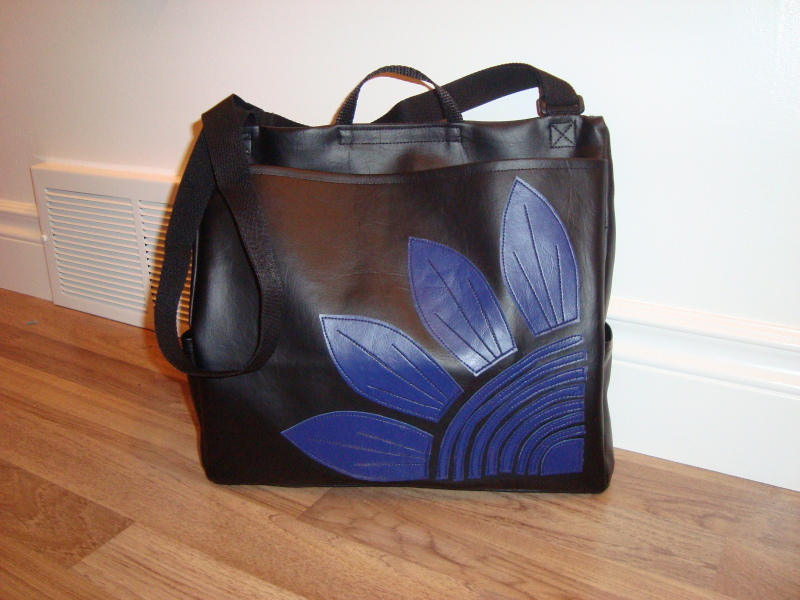 (2) a strap that can be adjusted to be worn over the shoulder or across the body. 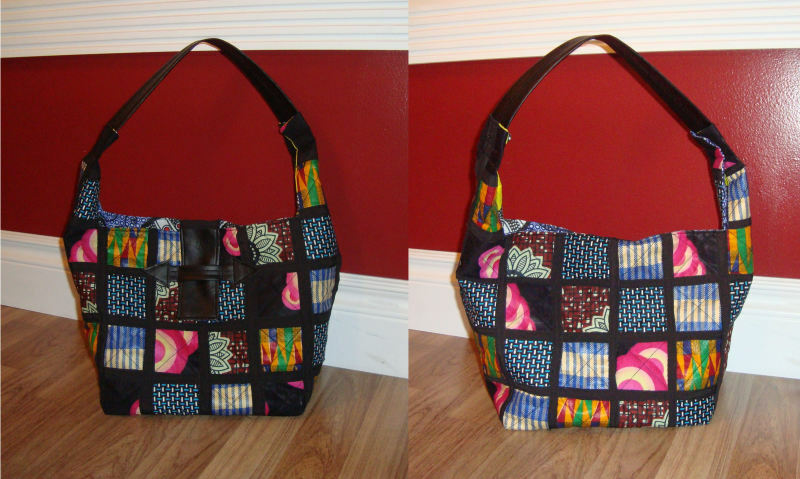 (3) two small side pockets for cell phone and keys. (4) zippers on the back go into a medium and large pocket for wallet and all other goodies I may need to have with me. 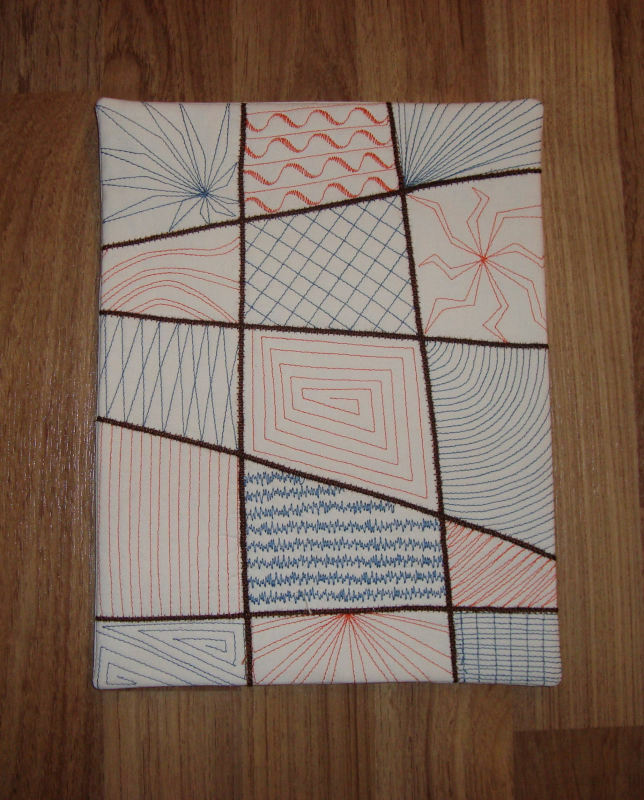 It measures about 12" x 12" and is about 3" wide. 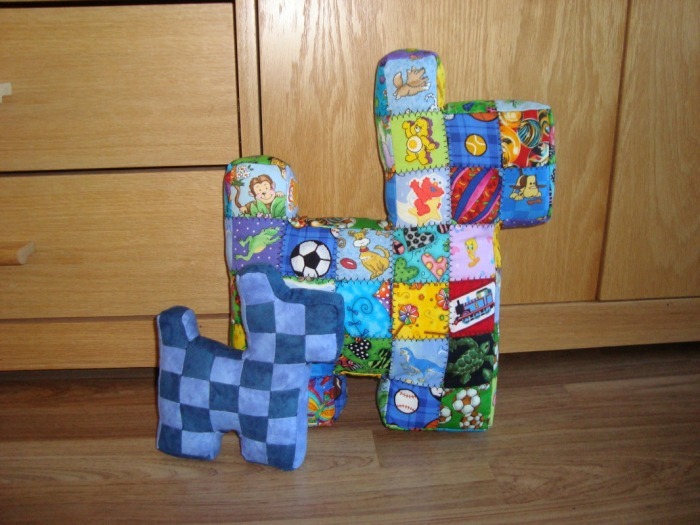 The challenge this year did not come in a kit form. 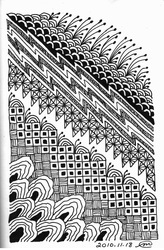 We were to use black and white and up to three shades of one other colour. 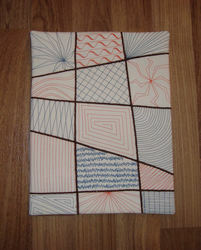 The proceeds of the auction went to the Movement Centre and so we were encouraged to use movement as our theme. 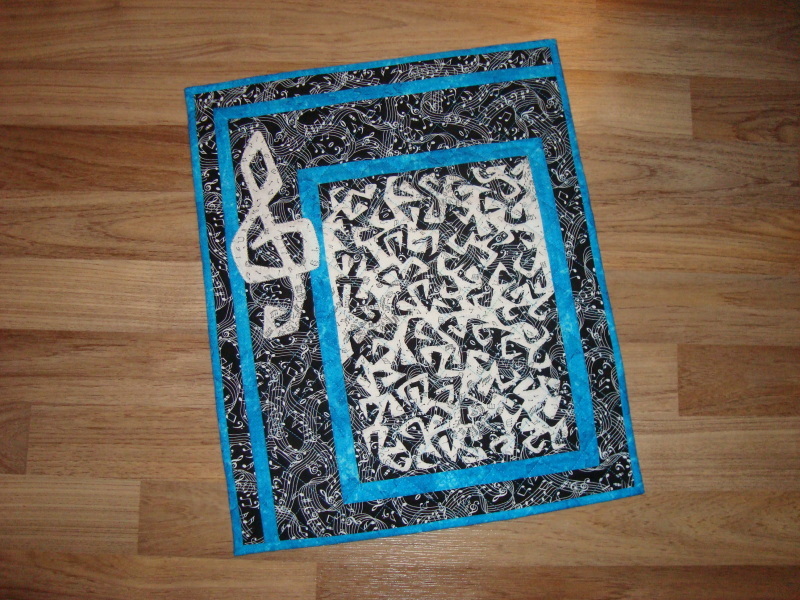 To me, music and movement go hand in hand and so I decided to make something with a music theme. 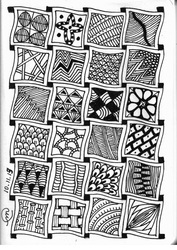 It measures 13.5" x 16.5" This piece sold for $40. 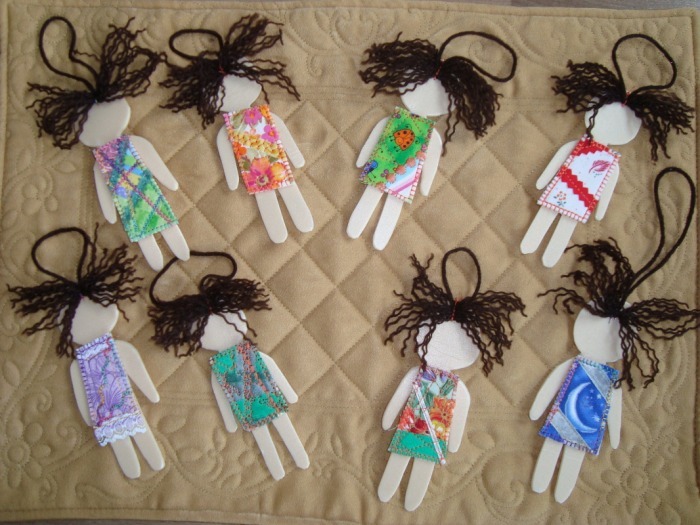 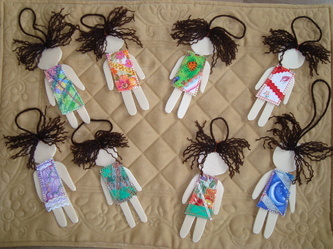 I made these little dolls for a mini art exchange hosted by Make It University at the International Quilt Show in Chicago. 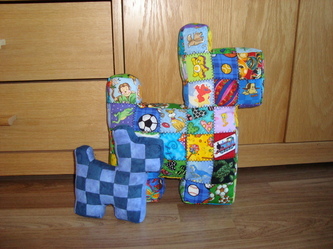 The second picture shows what I got in trade. 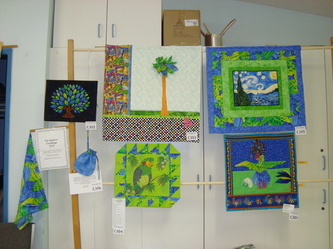 The feather fabric we had to use this year proved to be a real challenge. We only got six entries out of 30 kits purchased. 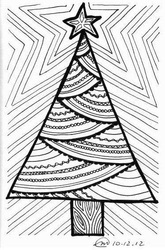 I got first place in viewer's choice for my tree. 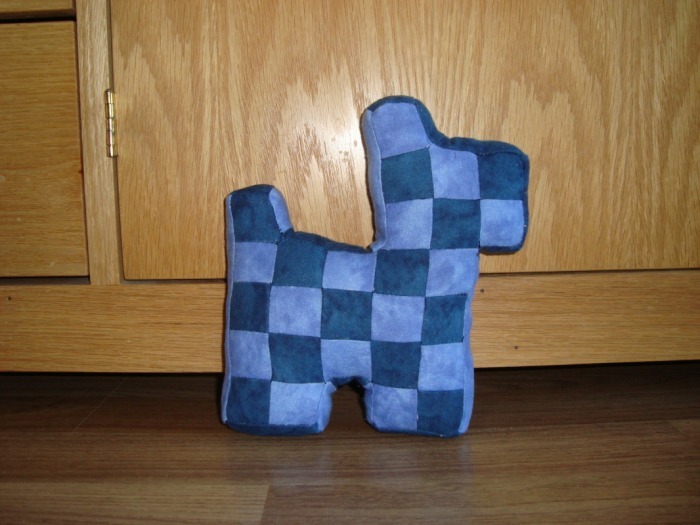 Thank you to Denyse Schmidt for the free Scottie Dog pattern on her website. 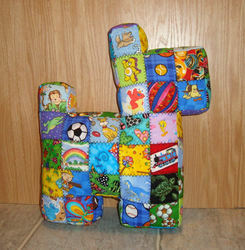 I made mine with 'I Spy' fabrics. 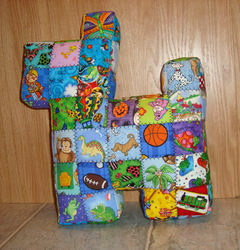 It will be a gift for my grandson's 1st birthday in a couple of weeks. 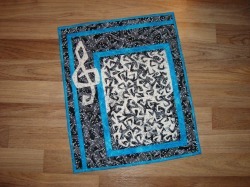 This is made from a drapery sample book, a piece of fabric from the thrift store and a sheet for the backing. 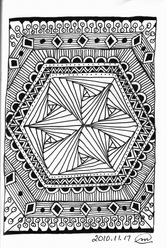 I'm quite happy with it, it looks very rich. 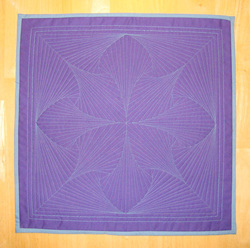 It measures 84" square. 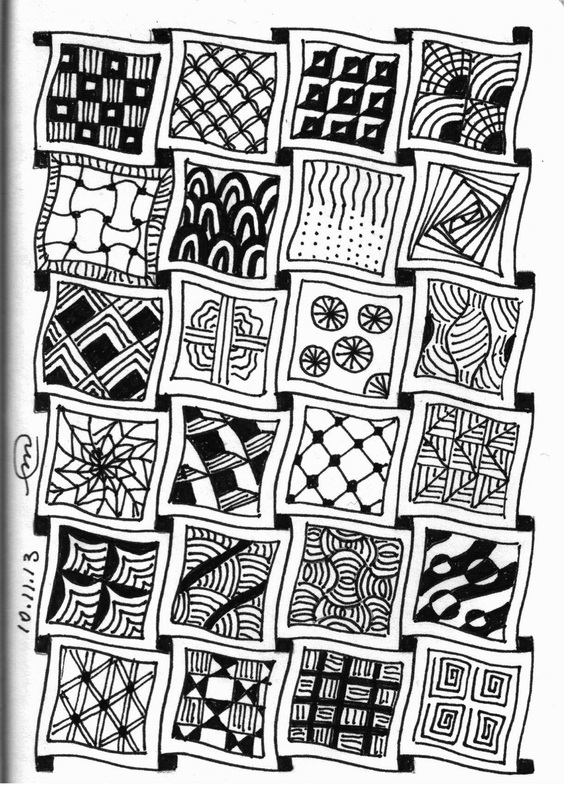 Monogram challenge: Our summer challenge for our quilt group was to create a journal quilt (8.5 x 11) using the first letter of our name. 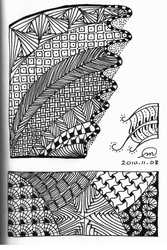 I sometimes sign my work with an M made in this manner so I wanted to use it for this challenge. 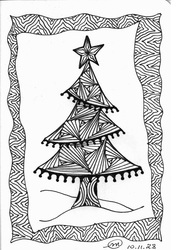 I'm happy with the concept but not so sure about the execution. 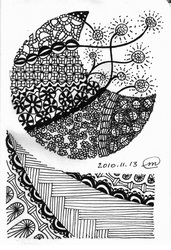 But these challenges are for learning so it's time to put this one aside and move on to something new. 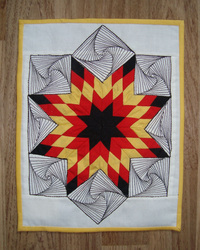 Black, Red, Yellow, White challenge: Make a quilt using the all nations colours ... black, red, yellow, white. 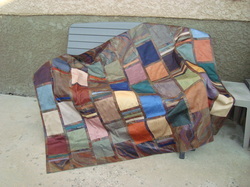 Use only four fabrics, one of each of the colours. 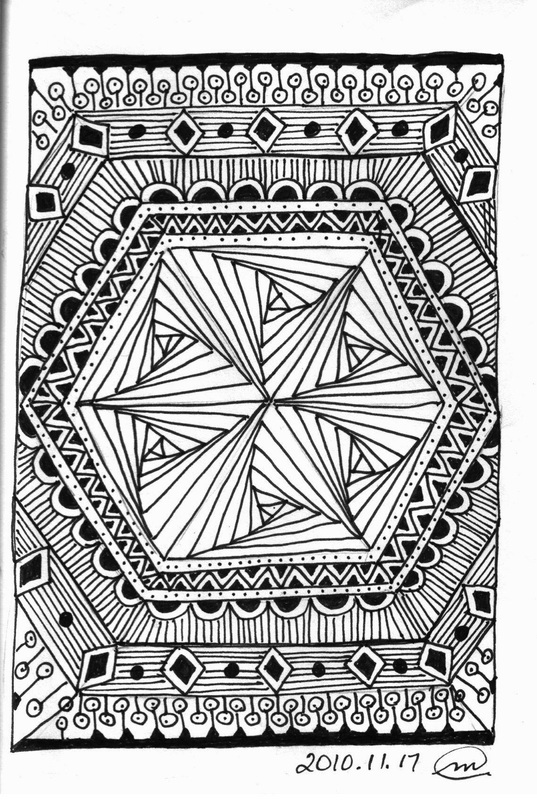 I really challenged myself on this one. 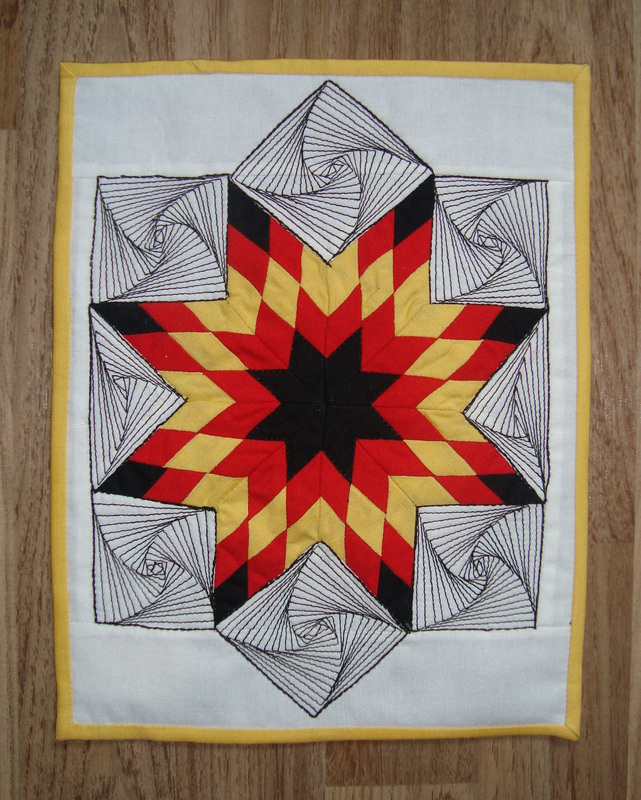 First of all strip piecing the tiny lone star which didn't exactly turn out but I'm very happy with it considering how finicky it was to do this, and then quilting the border Zentangle fashion. 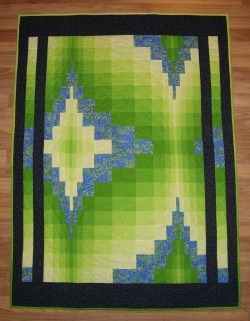 Zipper challenge: Make a quilt using zippers. 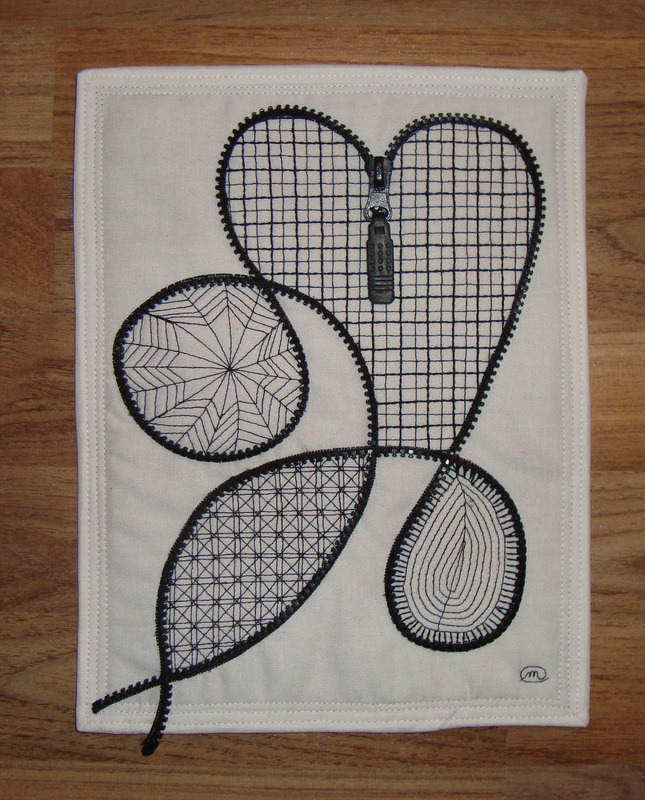 I seem to be fixated on quilting Zentangle style right now so my zipper quilt is another Zentangle outlined with the teeth of a zipper. 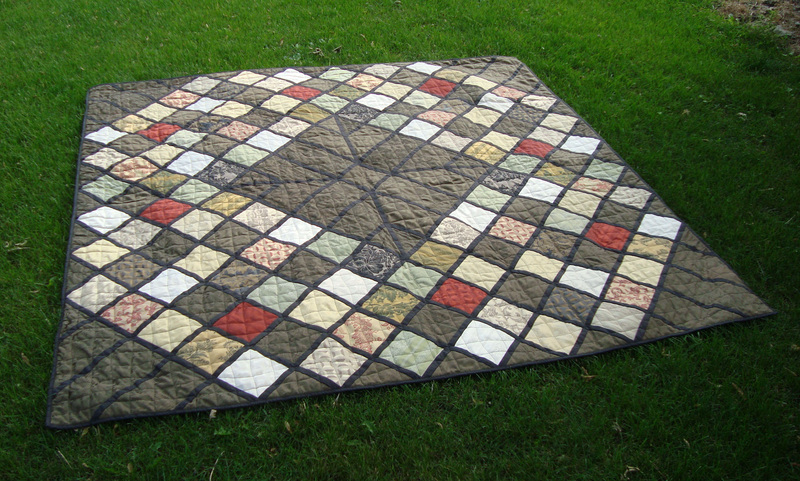 This picnic blanket is made using a book of drapery samples and a Teflon coated fabric. 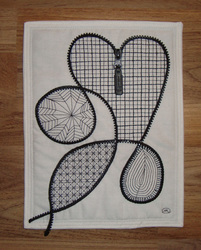 The back is one solid piece of the Teflon coated fabric. 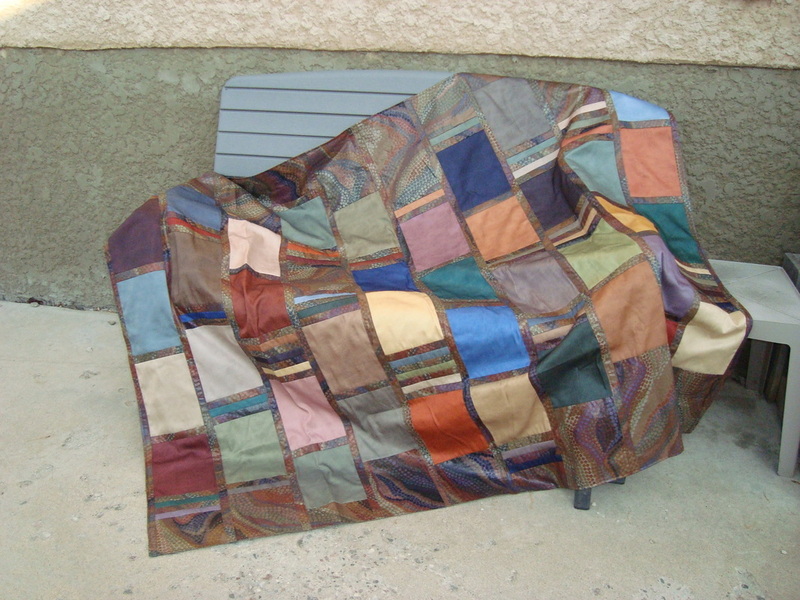 I didn't quilt it because I didn't want to make holes in the waterproof fabric. 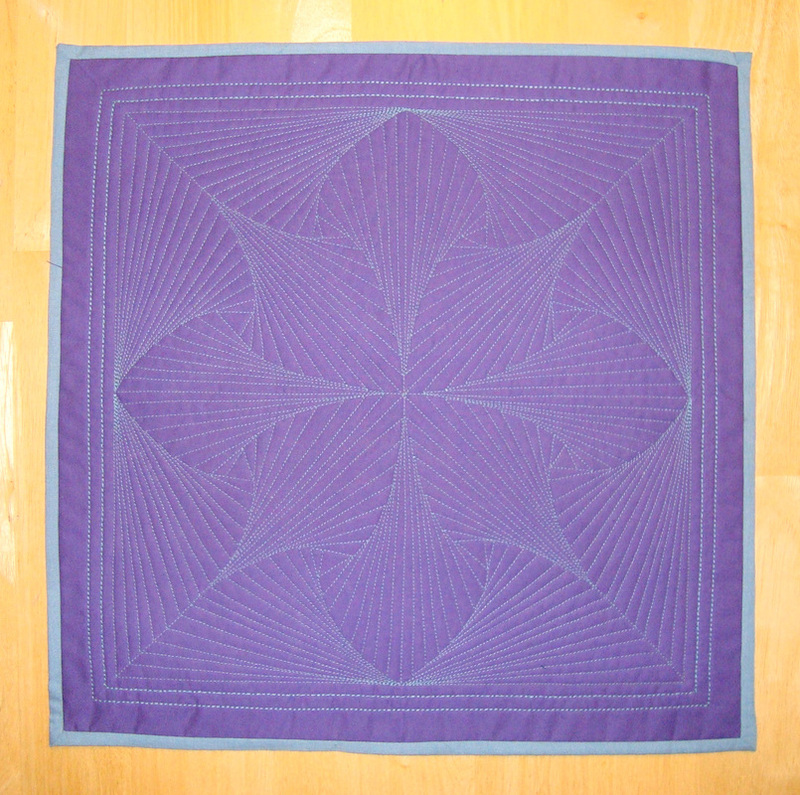 52" x 66"
This little whole cloth quilt is done entirely on the sewing machine with the feed dogs UP just aiming to my next destination, going round and round to completion. 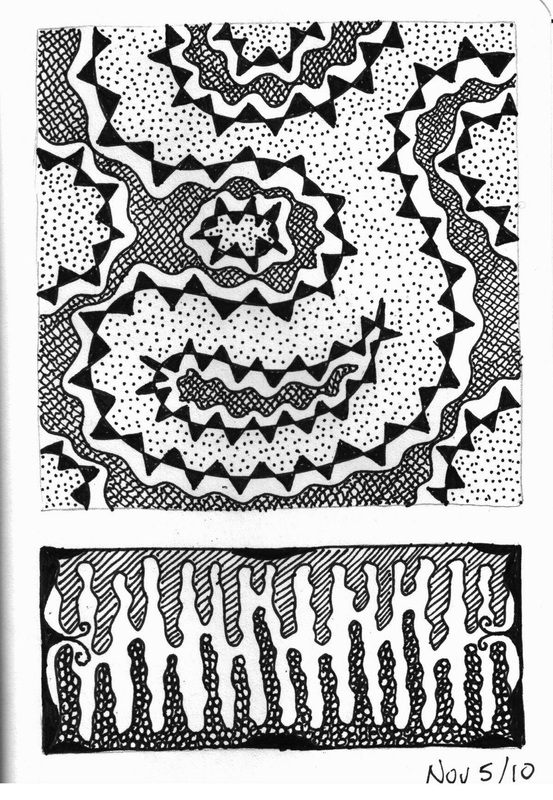 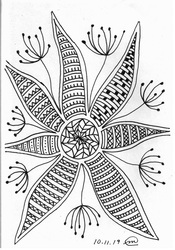 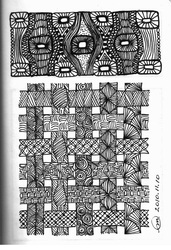 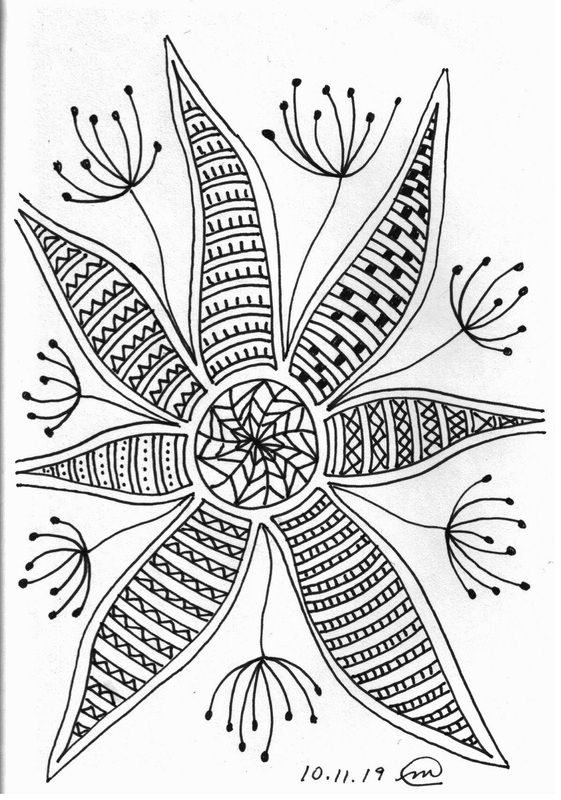 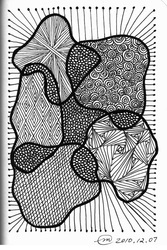 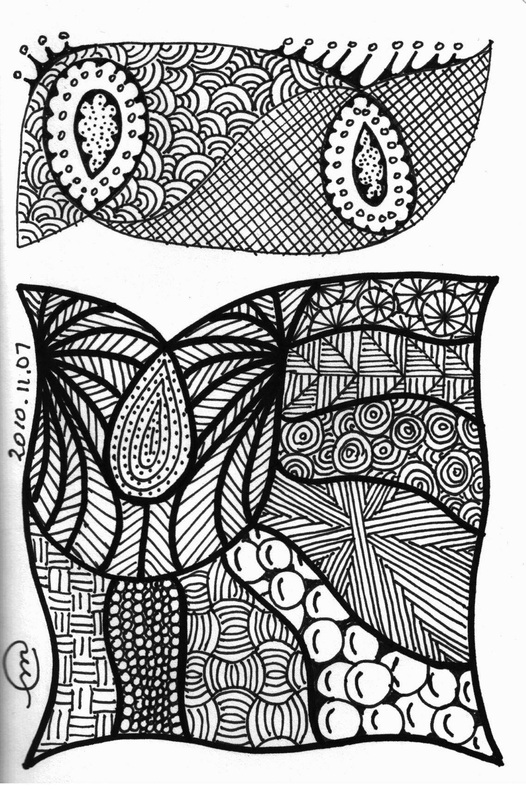 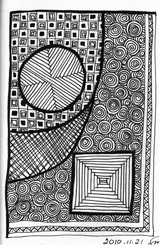 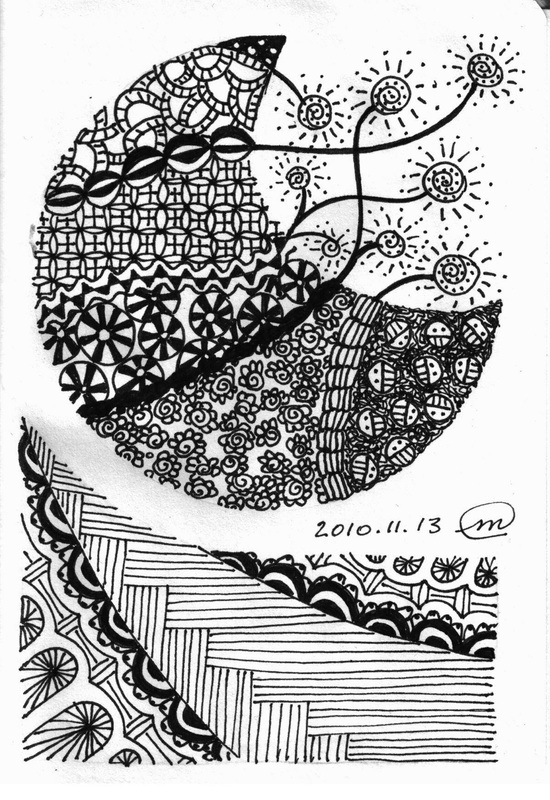 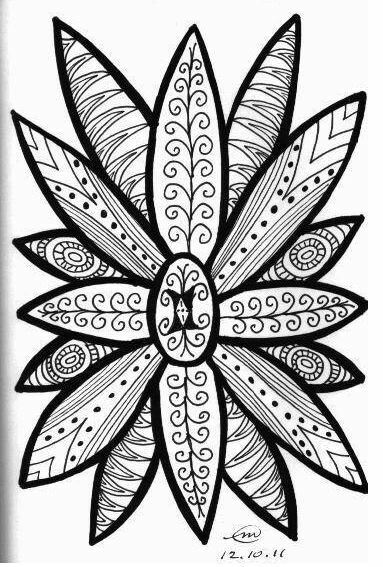 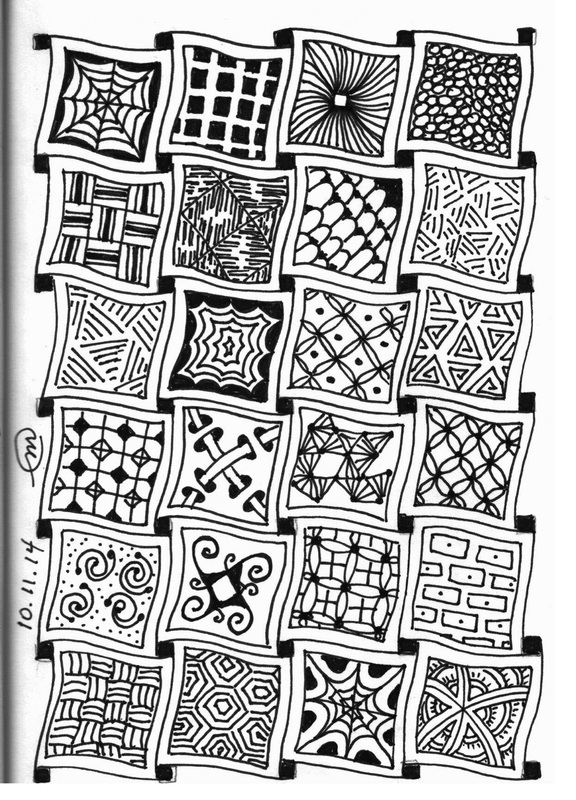 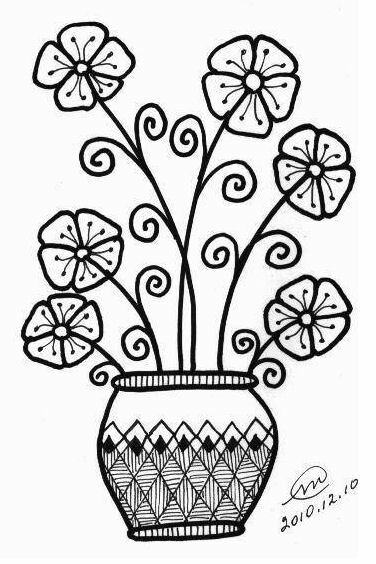 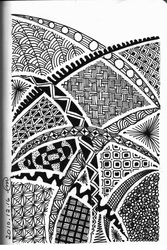 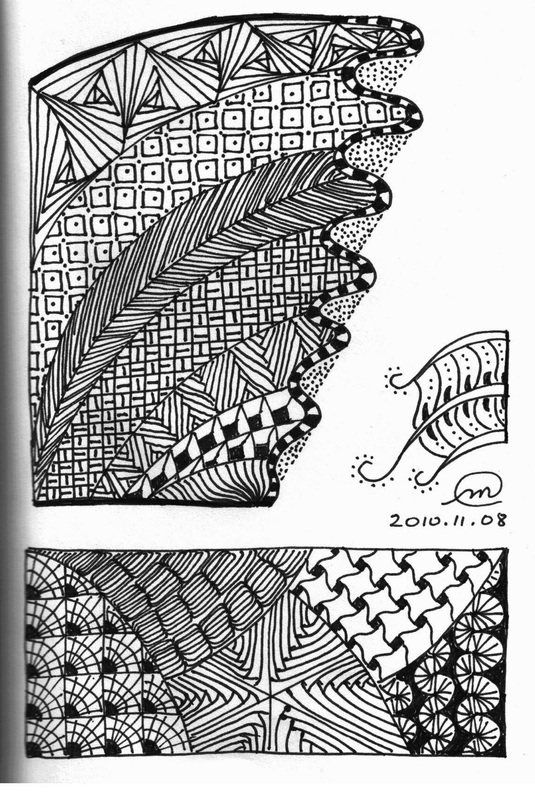 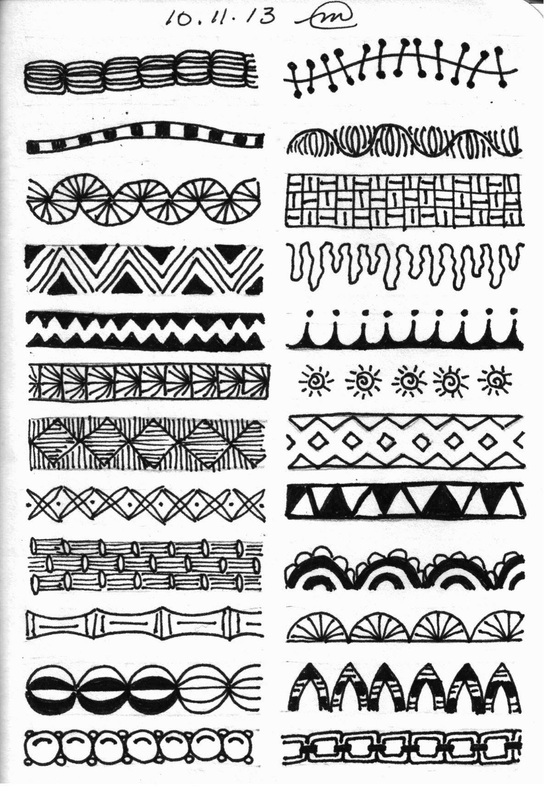 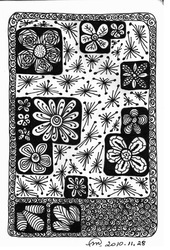 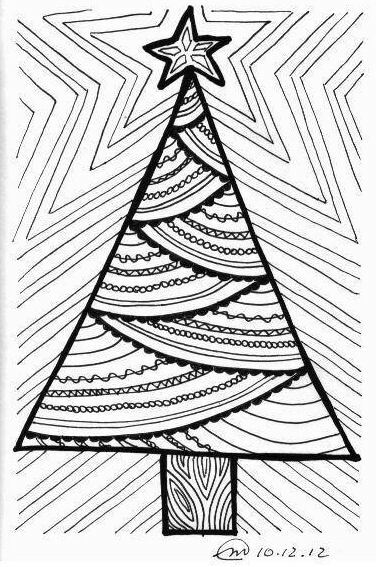 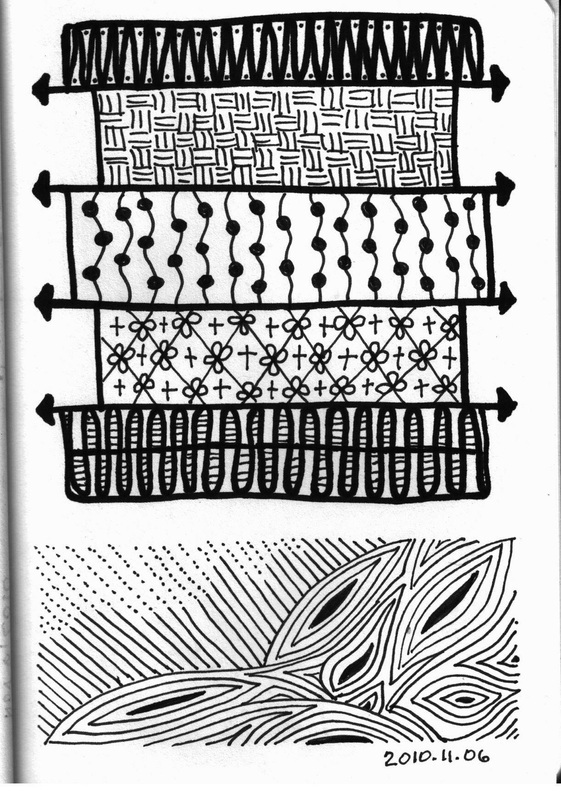 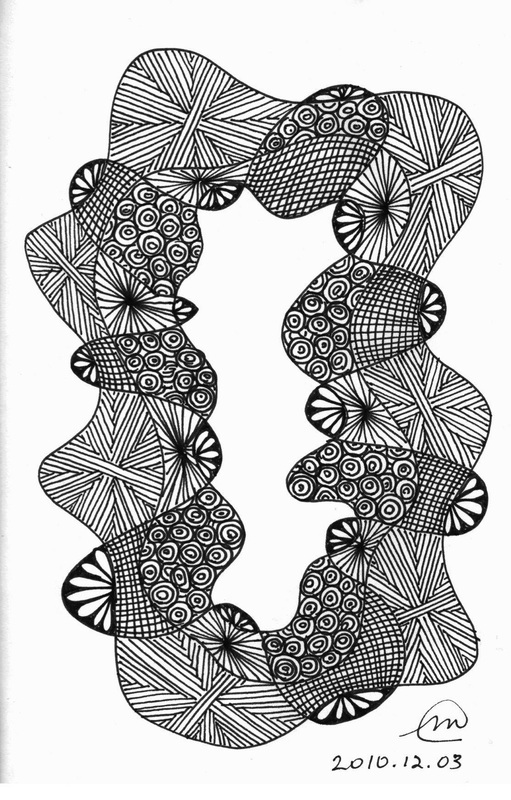 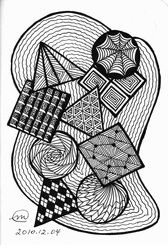 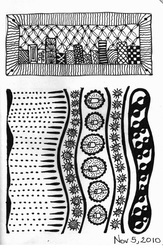 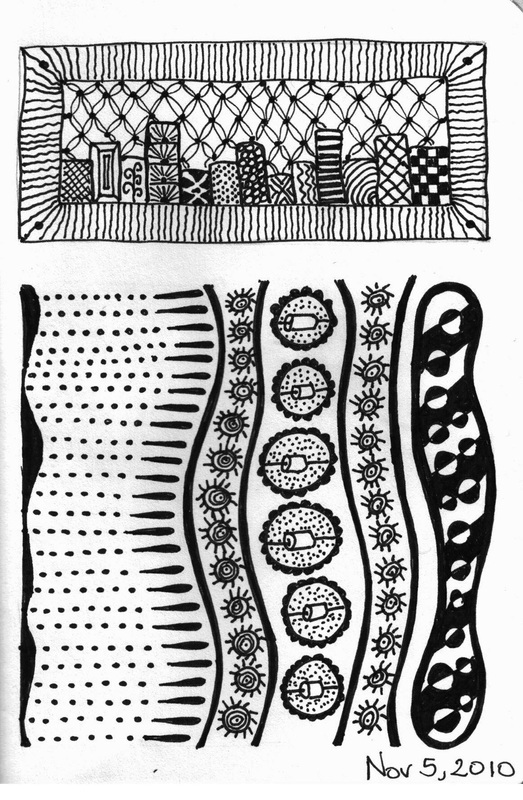 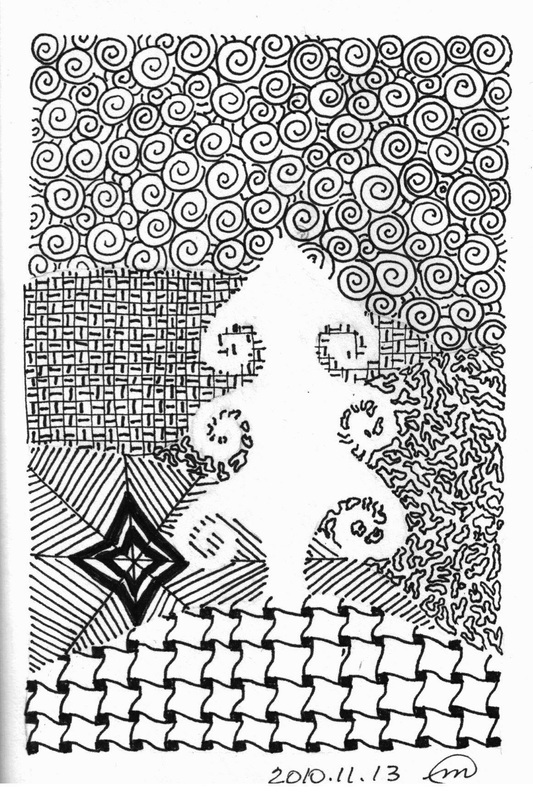 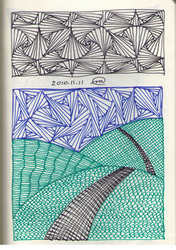 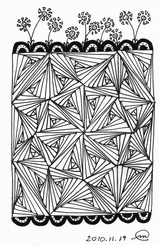 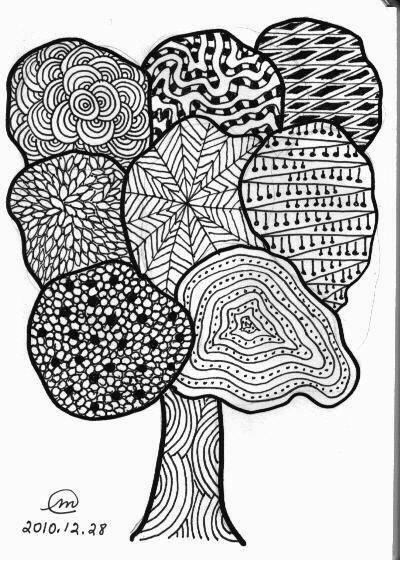 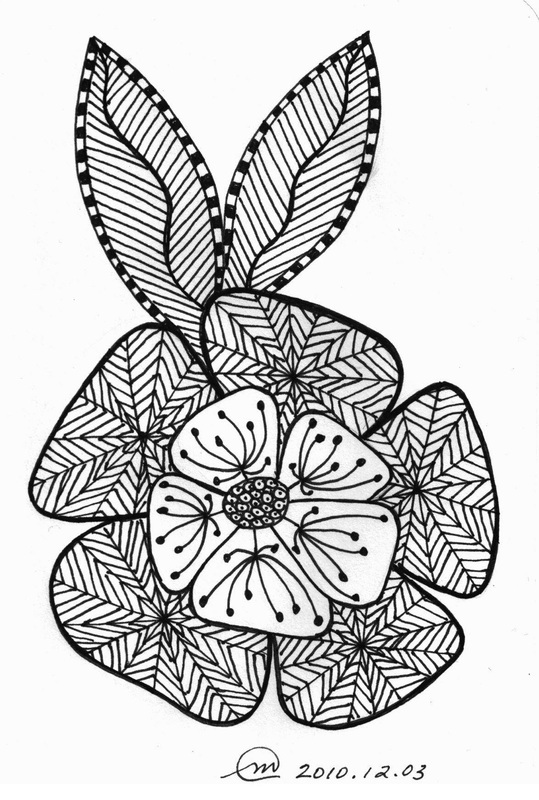 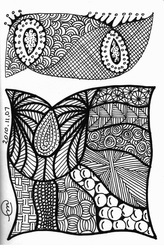 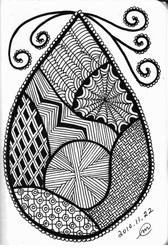 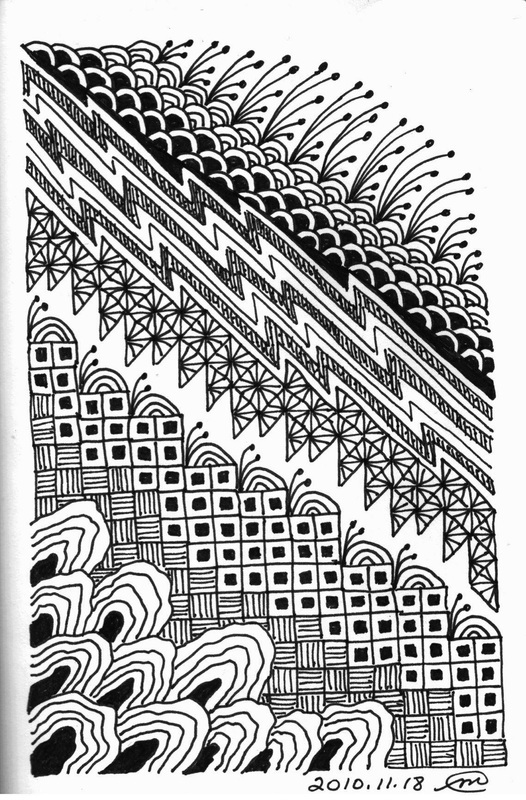 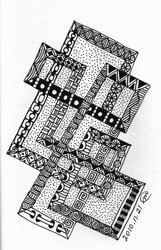 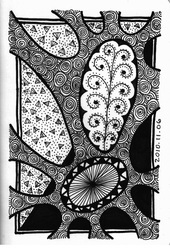 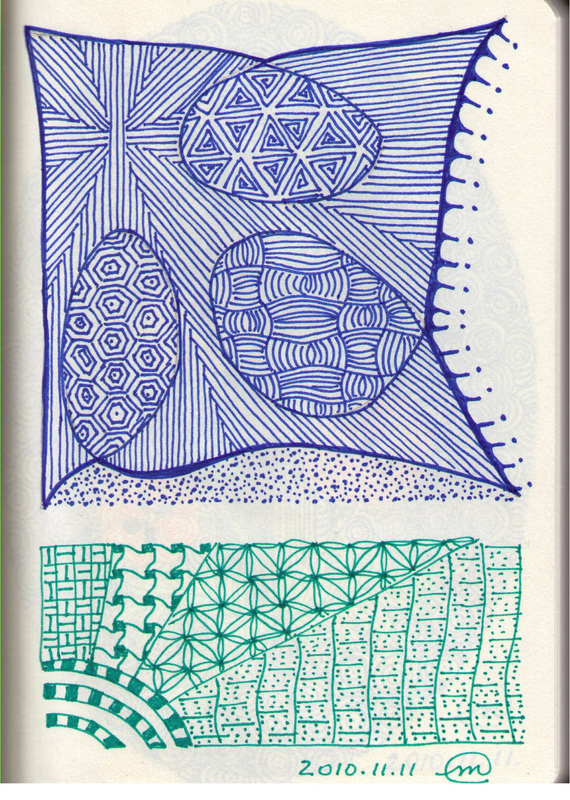 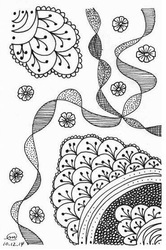 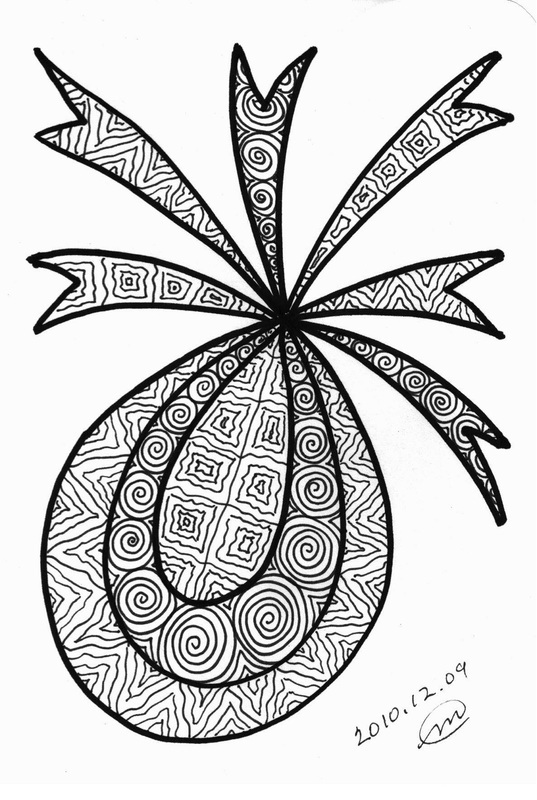 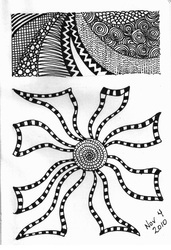 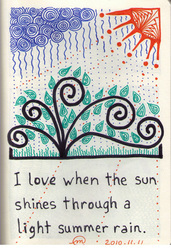 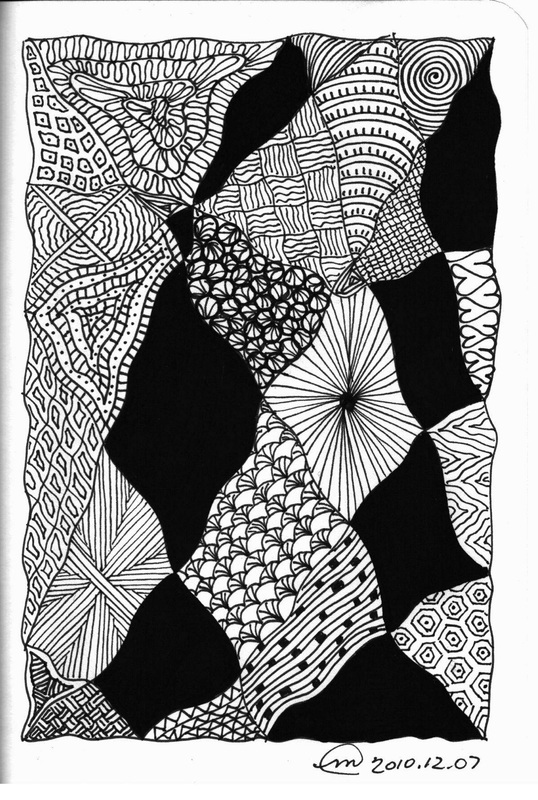 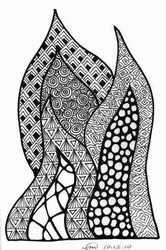 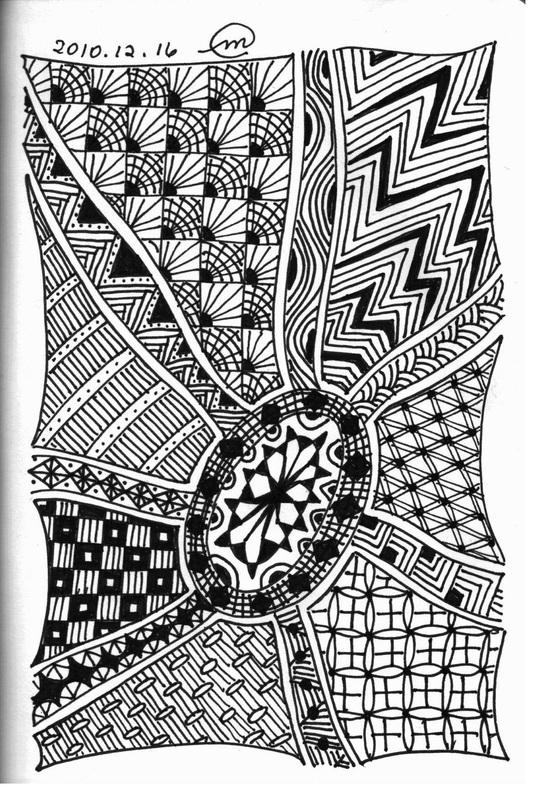 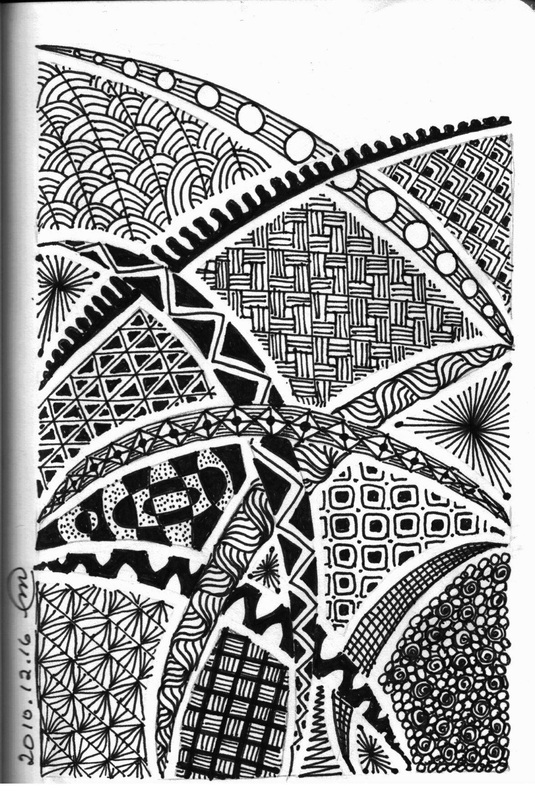 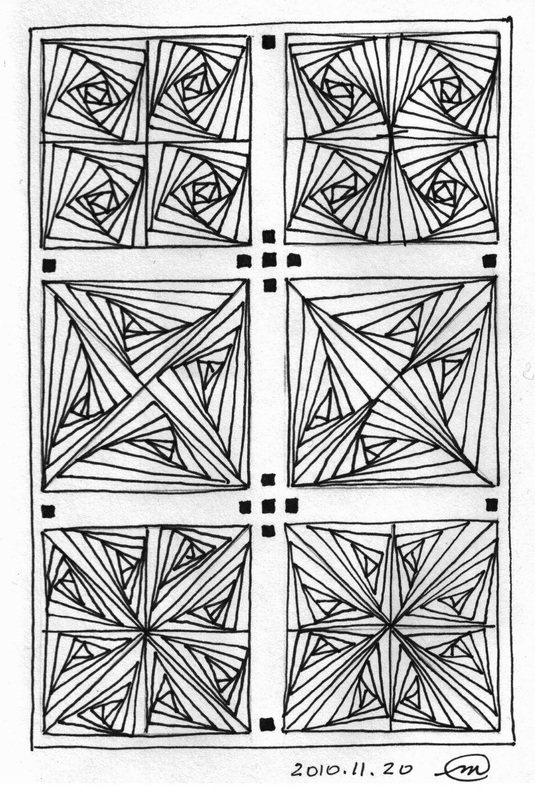 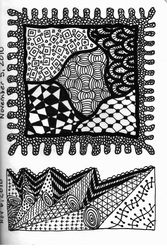 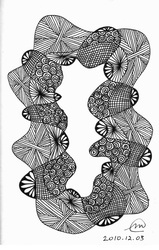 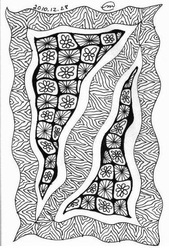 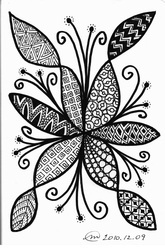 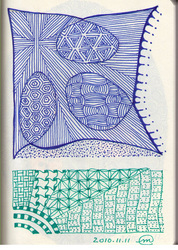 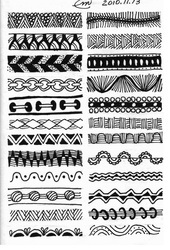 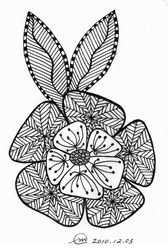 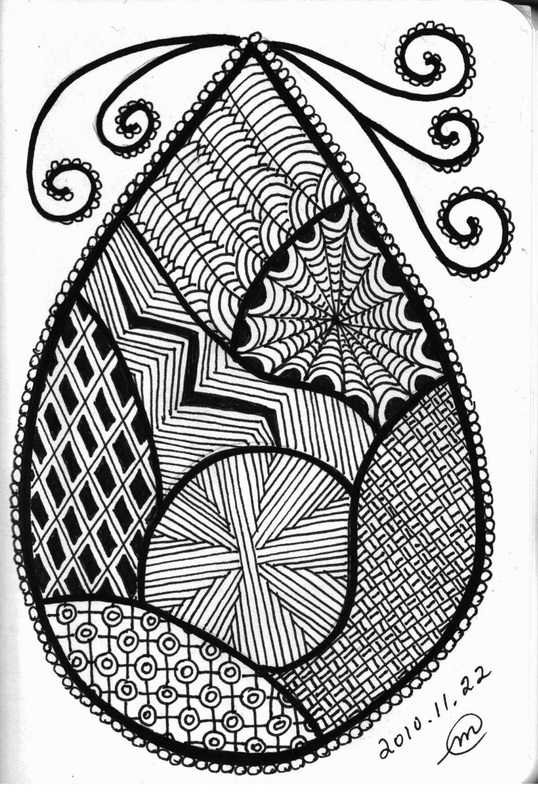 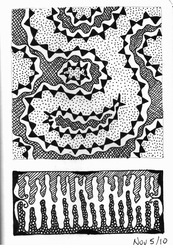 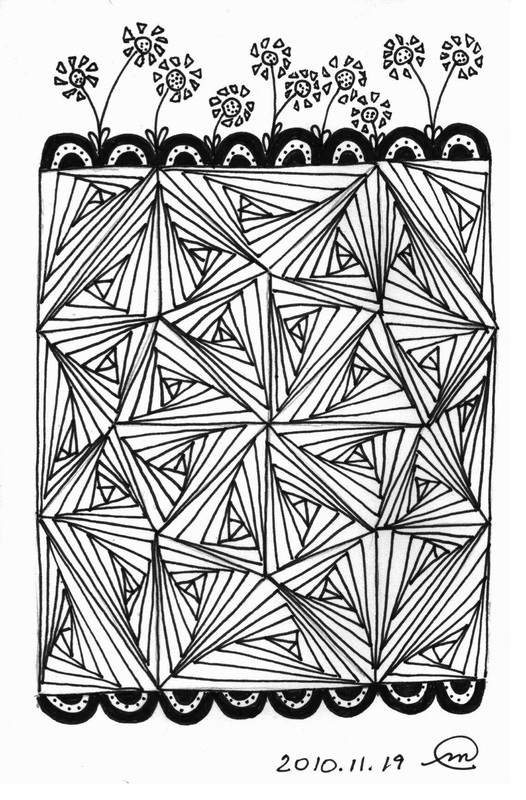 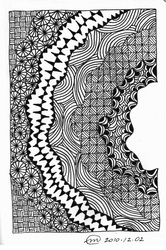 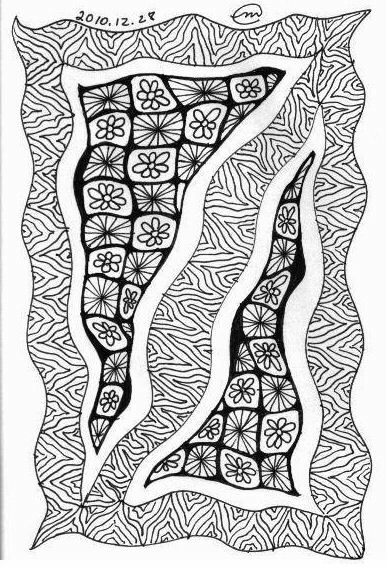 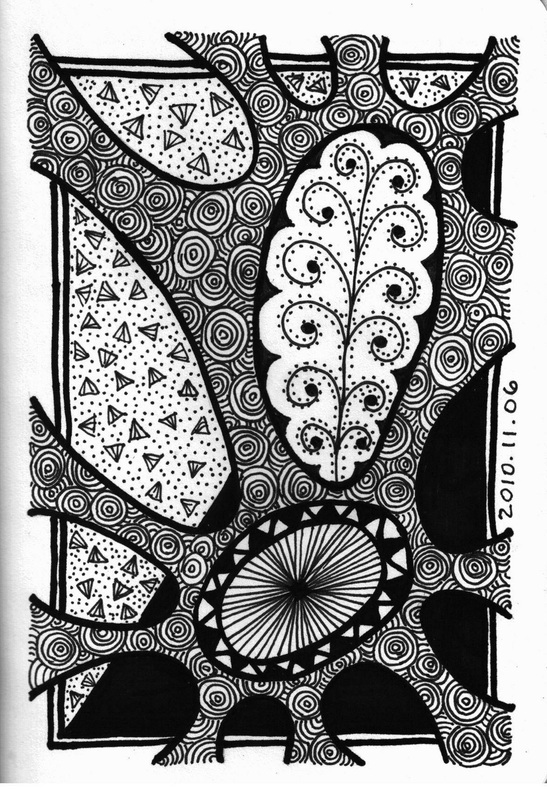 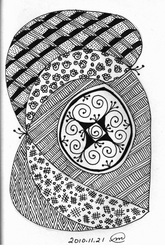 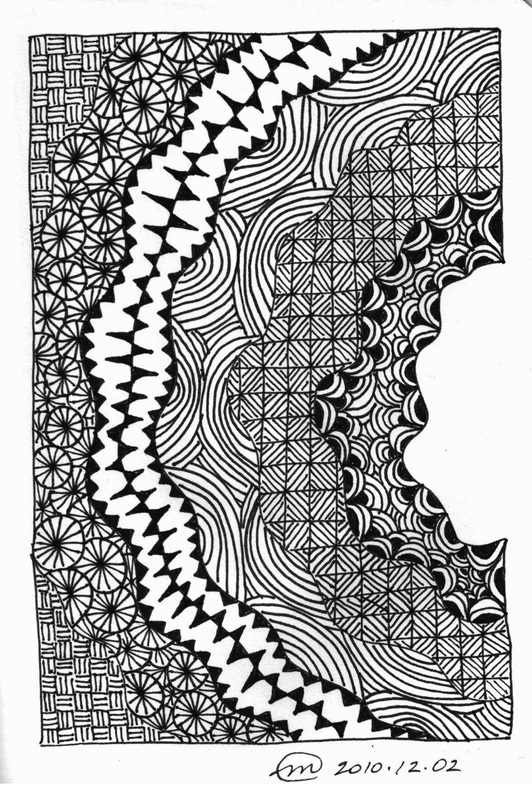 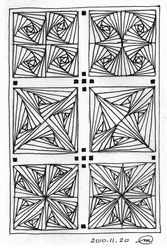 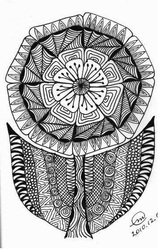 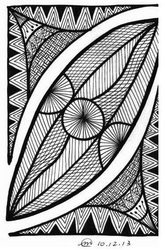 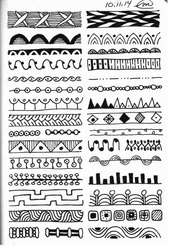 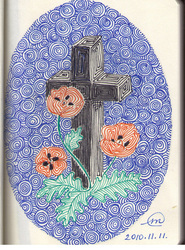 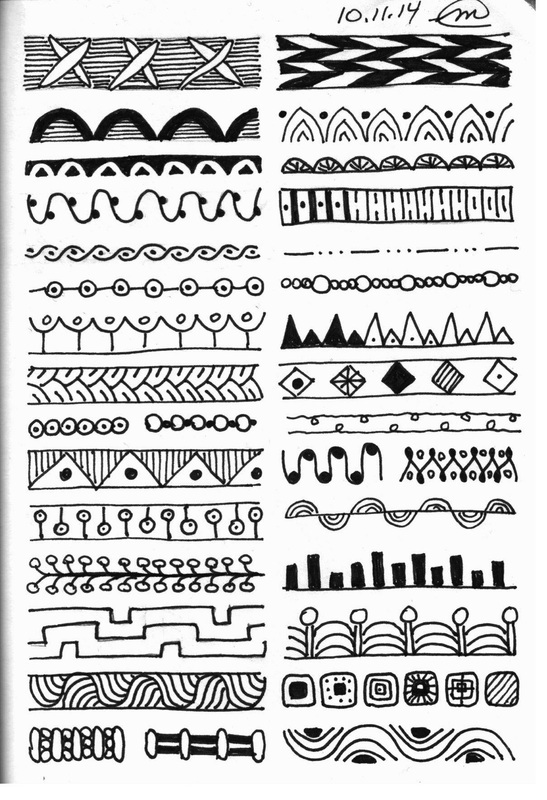 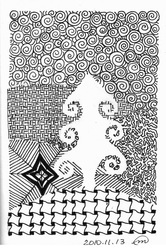 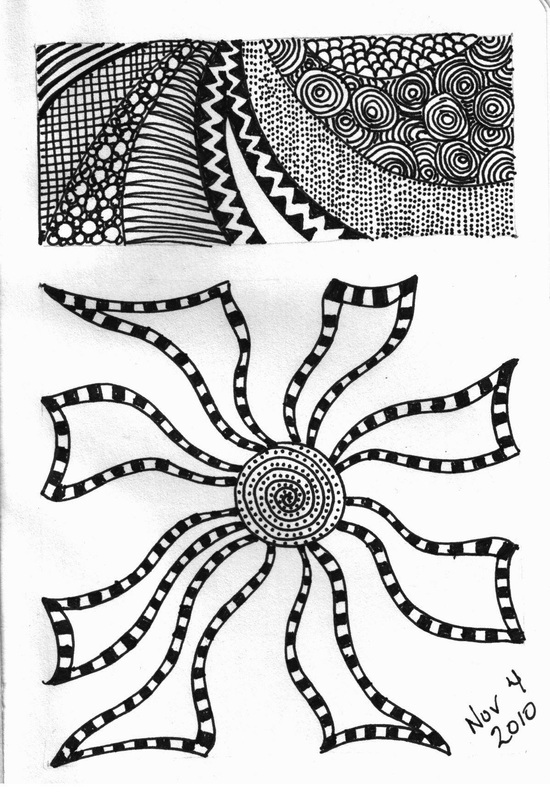 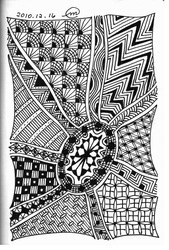 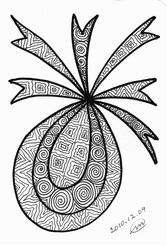 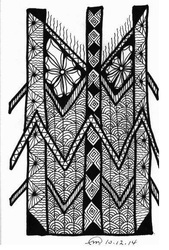 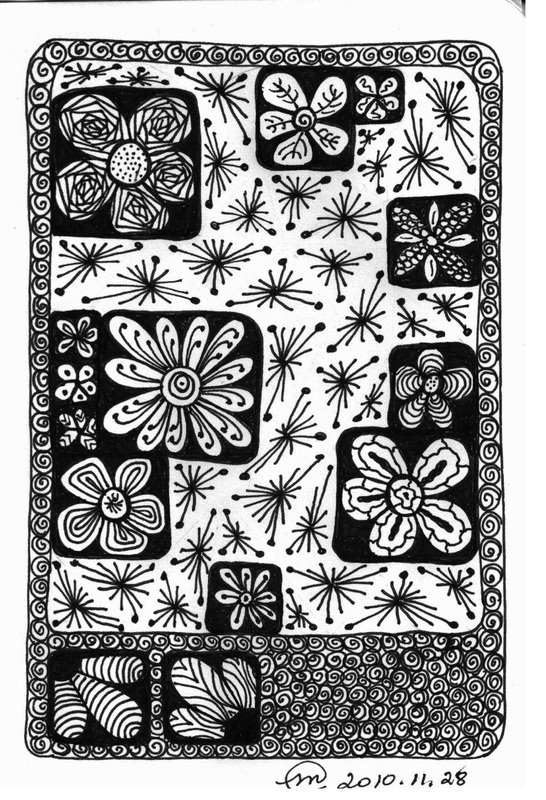 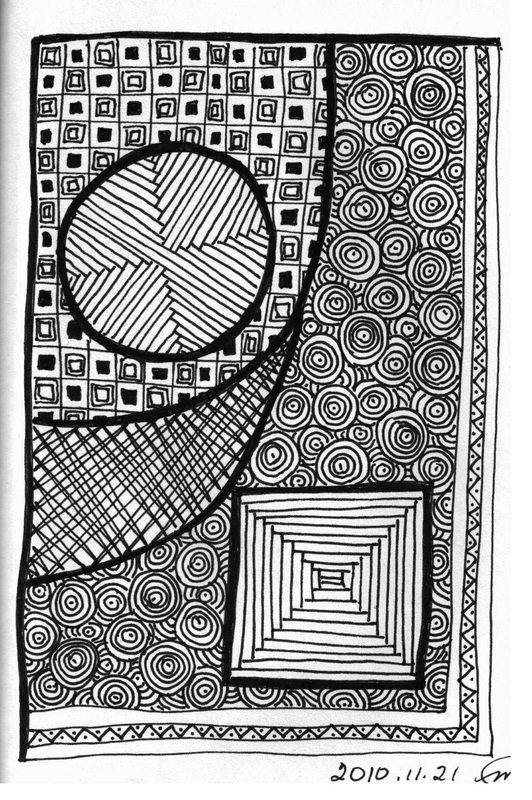 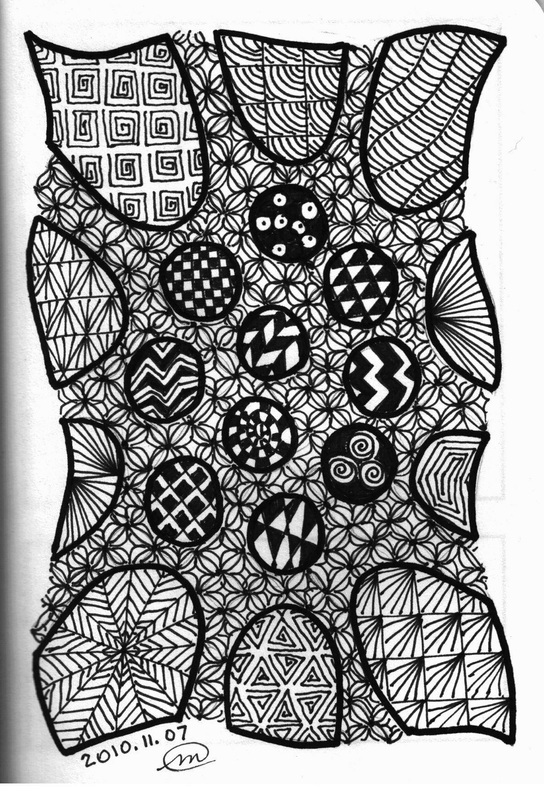 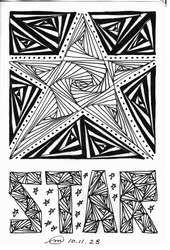 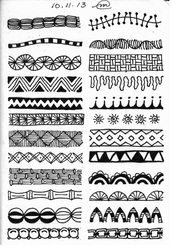 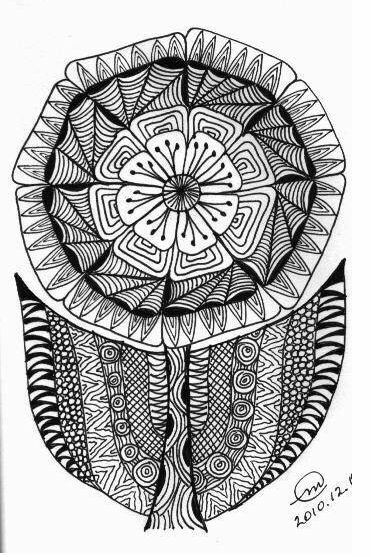 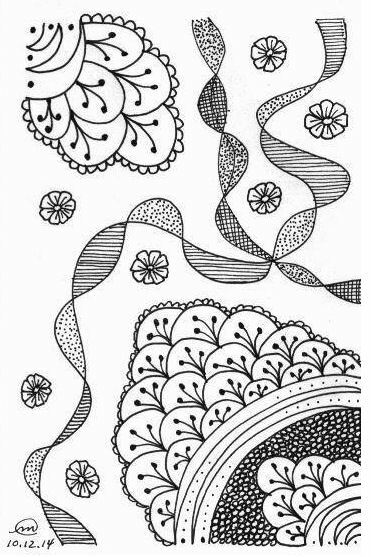 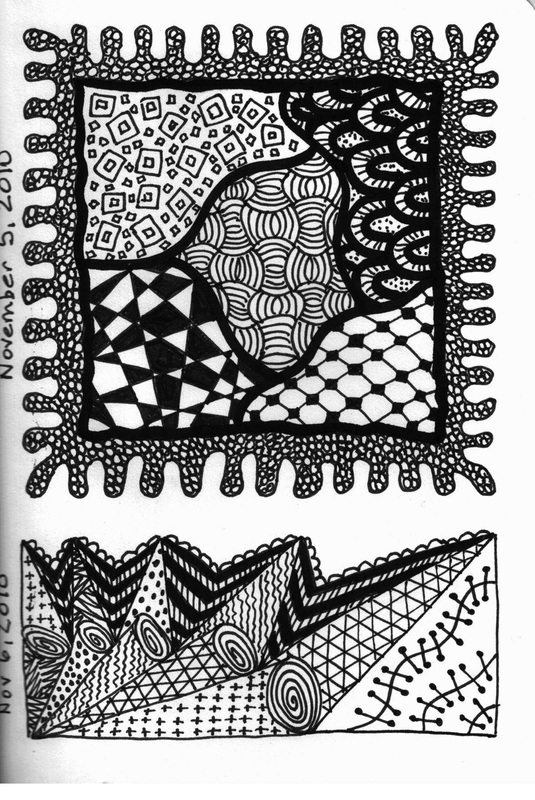 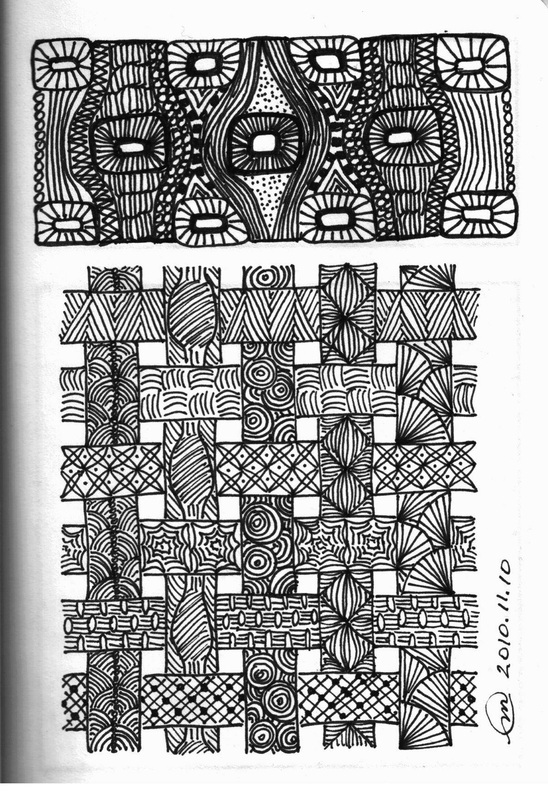 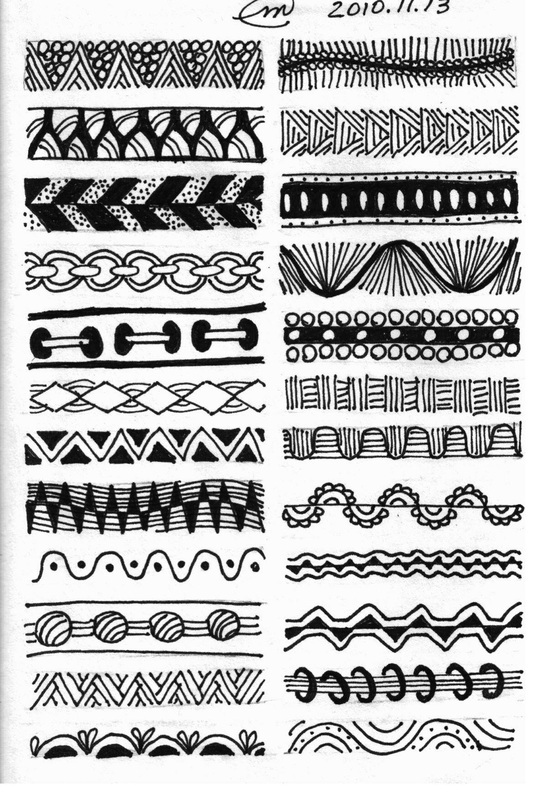 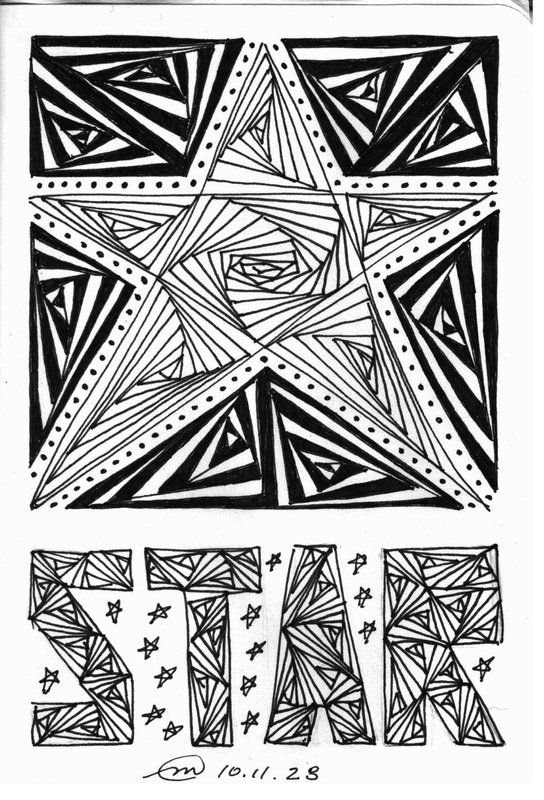 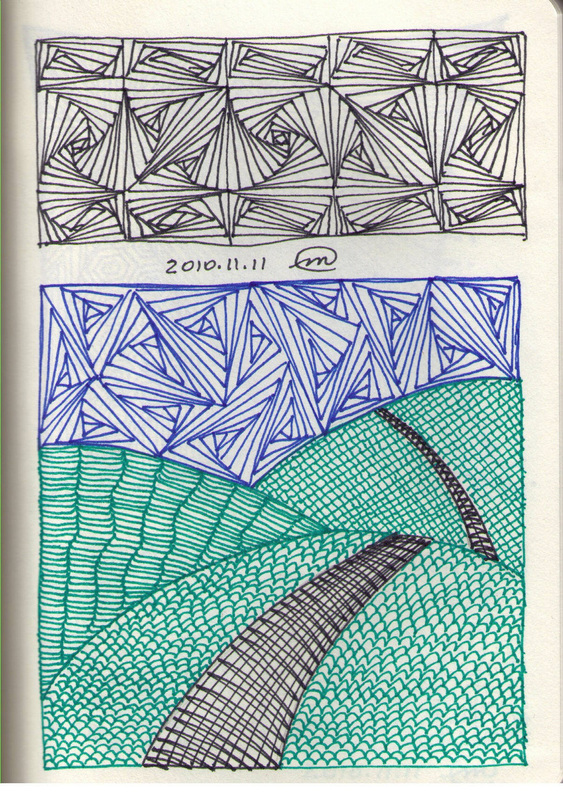 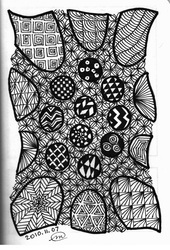 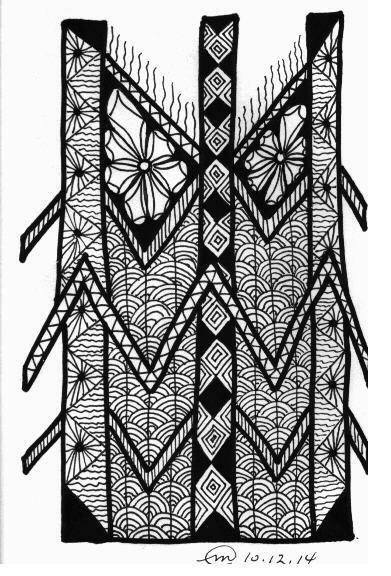 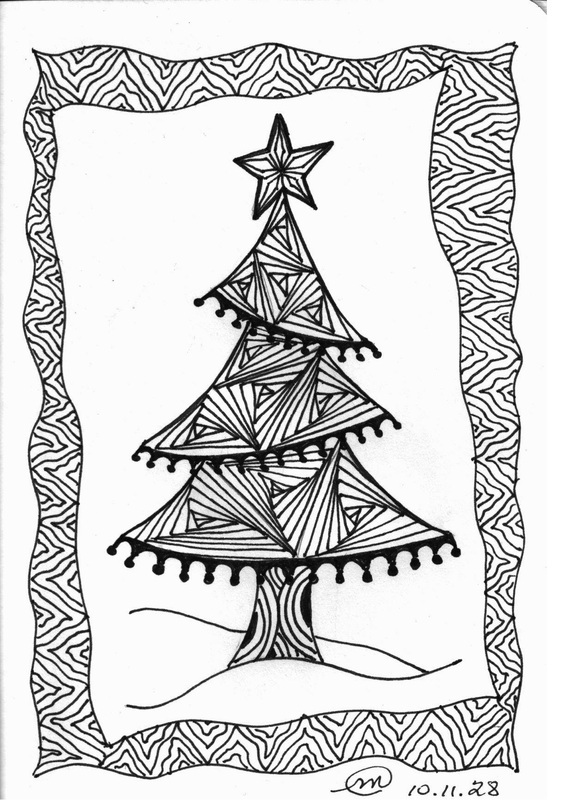 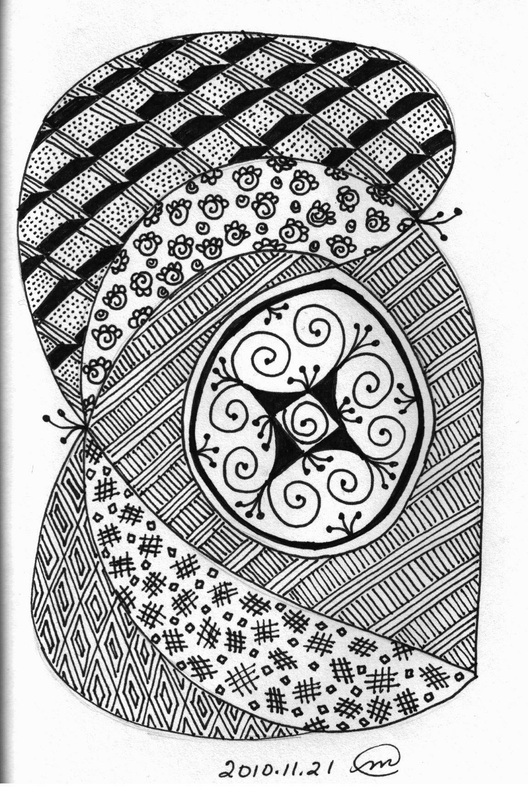 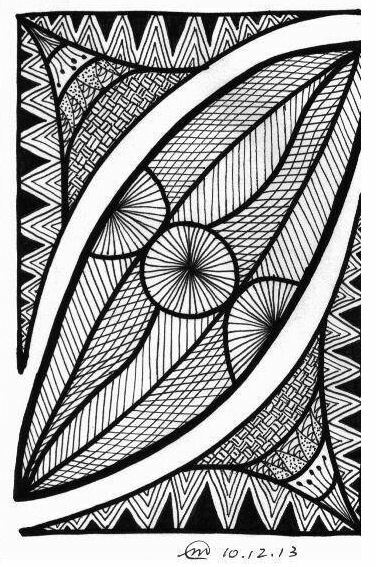 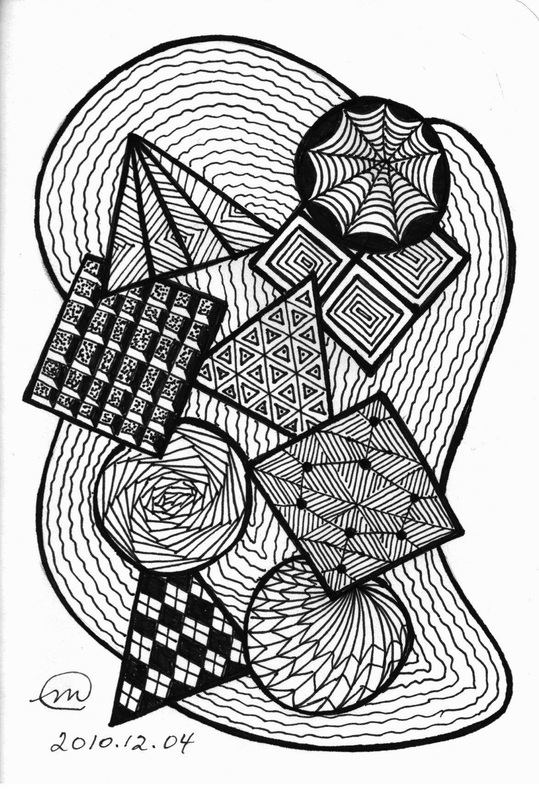 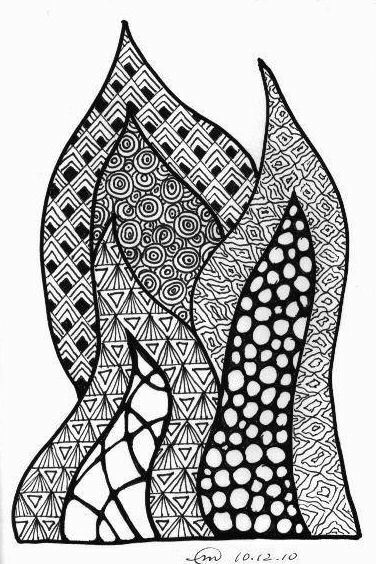 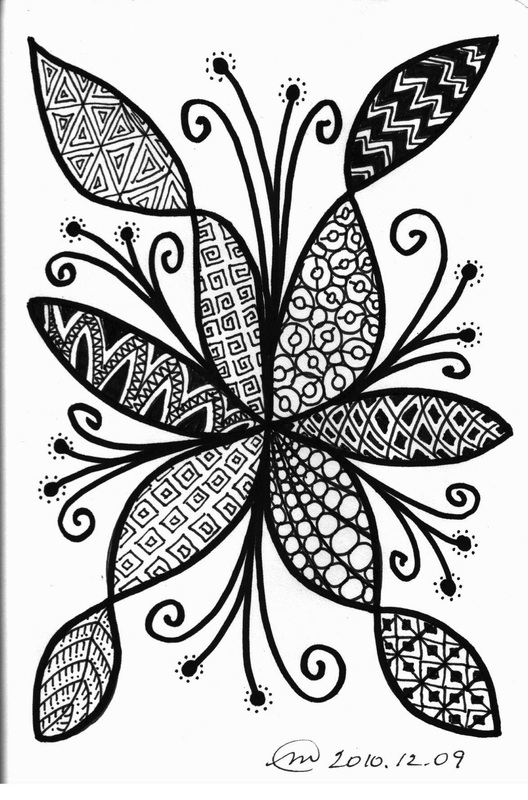 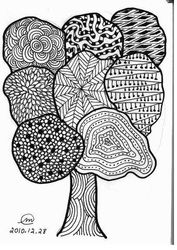 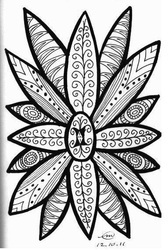 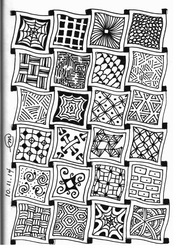 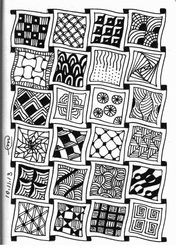 It is based on a Zentangle design. 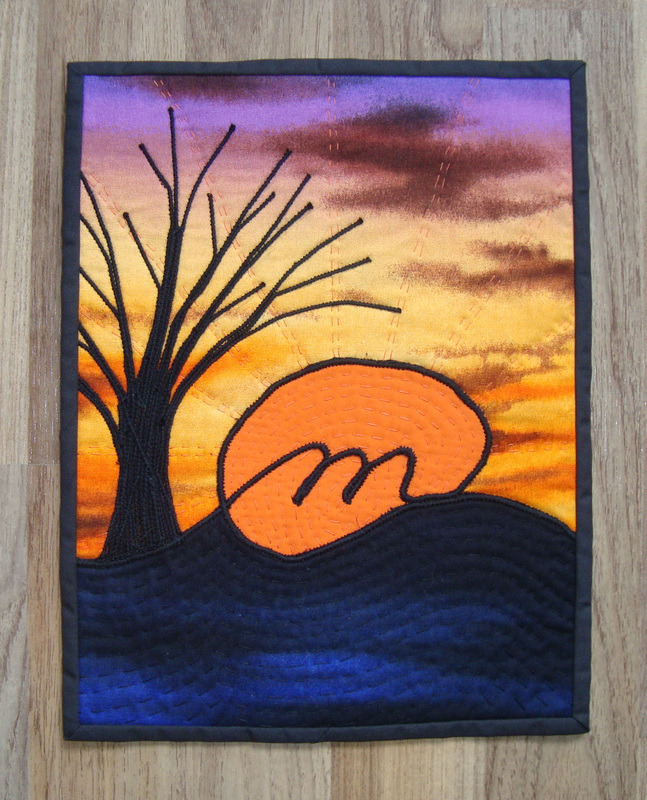 I only cut the thread 14 times in the entire piece. 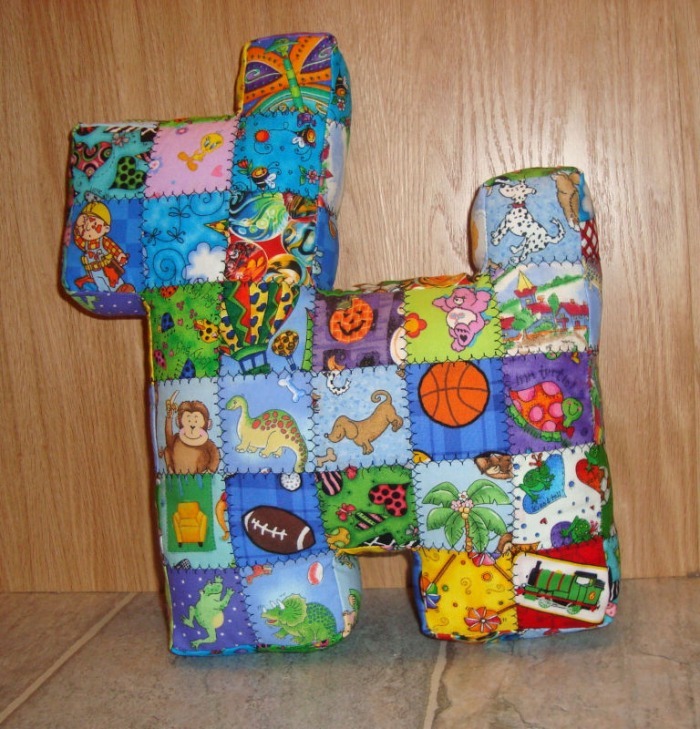 It measures 17" square and was so much fun to do. 129th Springfield Country Fair - Dugald 2011Accessories: pillows, potholders, place mats, table runners, etc. 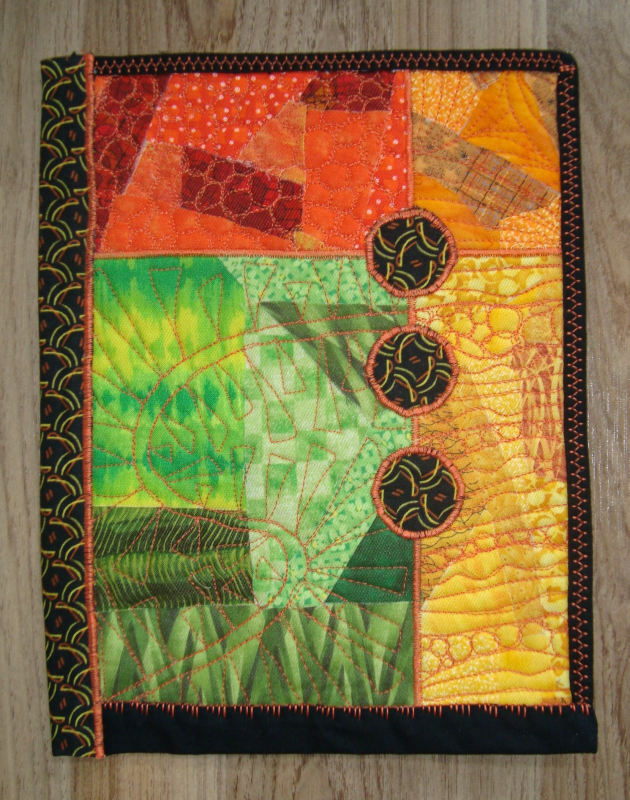 Also Point of Praise: Amazing machine quilting, wonderful control.